had been visiting their father in Mexico and disappeared Oct. 13 along with Jose Guadalupe Castaneda Benitez, Erica Alvarado’s 32-year-old boyfriend. 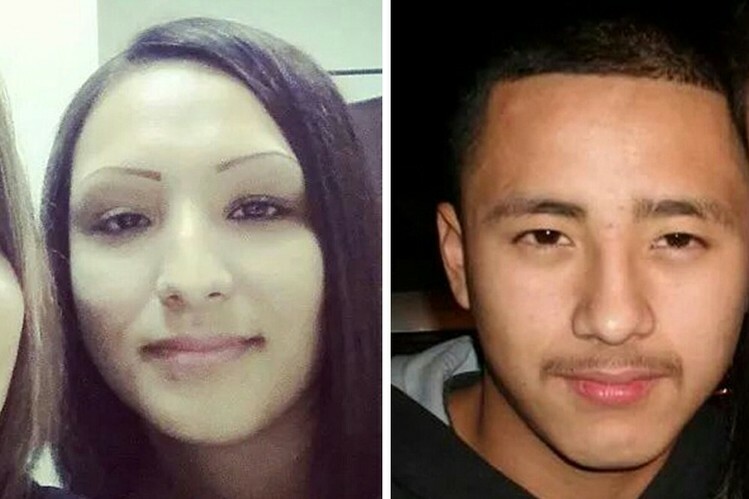 Parents of the siblings have said witnesses reported they were seized by men dressed in police gear identifying themselves as “Hercules,” a tactical security unit in the violent border city racked by cartel infighting. Mr. Quintanilla said at a news conference Thursday that nine of the unit’s 40 officers are being questioned. It would the third recent case of abuse and killing by Mexican authorities if police are involved. The country already is engulfed in the case of 43 teachers-college students missing in southern Guerrero state allegedly at the hands of a mayor and police working with a drug cartel. Fifty-six people are under arrest, including dozens of police officers. In June, the army killed 22 suspected gang members in Mexico state and then altered the scene and intimidated witnesses to hide the fact that most were executed after they surrendered, a National Commission on Human Rights report said last week. Three soldiers face murder charges. when investigators say police detained the students and handed them over to a drug gang. In other news, Andrew Tahmooressi’s Family Hopeful for His Release From Mexican Prison by Veterans Day. I guess Mexico’s police applies the rule of law or not. there is a positive, strong, and significant relationship between the strength of property rights protections and a country’s economic performance as measured by GDP per capita. In other Venezuelan news, Leopoldo López refused to appear before a court hearing on Tuesday, demanding the government respond to a UN resolution calling for his release. Judge Susana Barreiros scheduled the hearing while the court was not in session, having suspended proceedings indefinitely on October 14. López’s lawyers regarded the suspension as an attempt to delay the court’s response to the UN Working Group on Arbitrary Detentions, which requested López’s immediate release on October 8. After Spanish Prime Minister Mariano Rajoy called on the Venezuelan government to free Lopez, Venezuela recalled its ambassador to Spain. Lilian Tintori, the wife of opposition leader Leopoldo López, learned that he could be transferred from Ramo Verde military prison to another jail. Following up on the Carnival Magic story, my latest, Whatever happened to the Carnival Magic with the ebola scare? is up at Da Tech Guy Blog. A day after President Dilma Rousseff squeaked out a close electoral victory, Brazilian voters vented their frustrations one way they know best: on social media. Many Neves supporters, hailing largely from Brazil’s wealthier south, joked they would be packing their bags to flee to Miami or Orlando. Some posted images showing Brazil divided into two, with the poorer northeastern states which supported Ms. Rousseff hived off into a separate country. The reactions underscored the divisiveness of the elections, which were the closest in Brazilian history. Considering all the factors, it would have taken a miracle from God Himself for Neves to win. Brazil has chosen to warehouse a quarter of its population into welfare serfdom for nothing more than the benefit of leftist parties and their grasp on power. Living up to its reputation as possibly the world’s worst-managed economy, the Venezuela government is appealing the US$1.6billion settlement against Exxon by the World Bank’s International Centre for Settlement of Investment Disputes, or ICSID. Exxon had originally wanted $20 billion out of the deal; arbitrators awarded it just $1.6 billion, $600 million of which had already been paid. 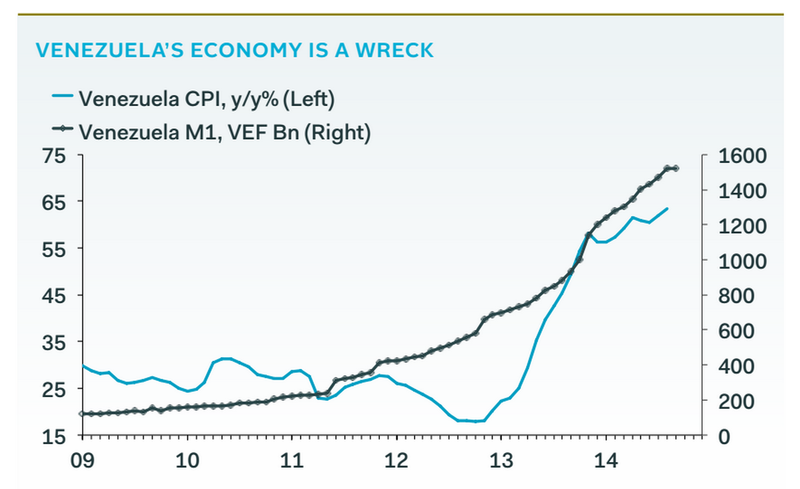 The country must honor ICSID rulings to avoid default of sovereign bonds; by having the ICSID provisionally stay the enforcement of the award, Venezuela buys time. One of two things is going on here. Either the super-fancy and well-worth-top-dollar New York Law Firm representing Venezuela at ICSID, Curtis Mallet-Prevost, has persuaded Ramírez they can get an even better settlement on appeal or the government is now so strapped for cash they’re willing to try any delaying tactic to avoid having to pay up right away. I don’t know which one it is. I don’t either, and considering how Nicolas Maduro opened his campaign by saying he talked to Chavez, who is now a bird , maybe he (and his cohorts) went by Chavez’s 2012 promise that Venezuela will not recognize World Bank ruling in the Exxon case. 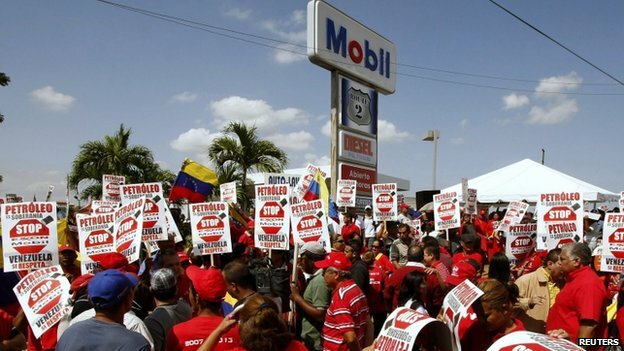 All you can be sure of is that law firm Curtis Mallet-Prevost will make money out of this, and, as I said last month, that Venezuela has no intention to pay Exxon. Then why did things rise up again? Now Brazil can look forward to not just low growth, but also high protectionist trade walls, more taxes, more corruption, more intrusive government and an increasingly arrogant state. 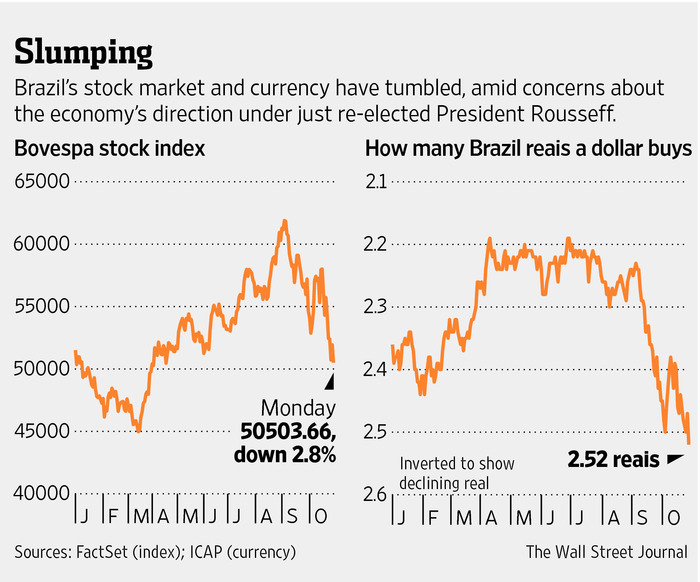 I was optimistic on Brazil years ago, but no more.